The Mafia would like to see gambling legalized— they are the greatest proponents of such a system. Whereas hundreds or thousands patronize illegal gambling houses, millions a year would visit legitimate operations. The "take" in legal gambling is all the bigger—even if everything is run on the level. The fact that profits are supposed to be reported to the government is of trivial concern to the mob. The reason is "skimming," stripping away profits before figures are given to tax authorities, and even before the money gets to the iron-barred casino counting rooms where tax-agent observers are present. Lou "Rhondy" Rothkopf, for years one of the secret owners of the Desert Inn in Las Vegas, once bragged to underworld associates that the casino in its first year of operation declared a profit of $12 million, but the mob had skimmed off an additional $36 million. 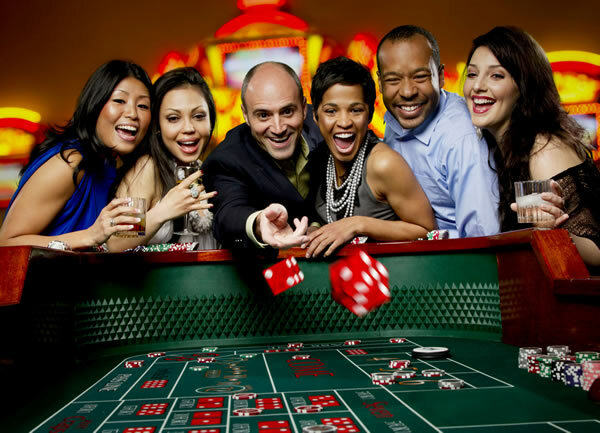 There are many ways to skim off huge amounts of money even in the casino's heavily guarded cages where the accountants and bookkeepers labor. It is also possible to do it out on the floor, with "high rollers" getting a run of "luck" and walking away with a bundle before IRS agents can swoop down on them for identification. The virtue of such big payoffs is not just in the skim. It is great advertising for the casino and lures in more customers hopeful of a big win. The skim, as perfected by Meyer Lansky , is a work of criminal art, and it is virtually untraceable. Moe Dalitz, for years the big man at the Desert Inn, was unsuccessfully charged with income tax evasion in 1968. And a few years later, Lansky and five others who had interests in the Flamingo were accused of skimming off $30 million—very likely a massive understatement—but none of the charges ever resulted in conviction for Lansky. According to the best estimates obtained from informers, skimming either runs about triple the reported profits or about 20 percent of the handle (the total amount of money bet). This adds up to a monumental problem for organized crime because all those funds have to be "moved"—"laundered" or "washed"—and stashed some place where they can be used in a way that does not invite federal scrutiny. Again, it was principally Meyer Lansky who showed the mob how to manage skimmed funds, providing one more reason why he was called "the Genius" and why he also ended up at the time of his death with a personal fortune estimated at between $300 and $400 million—all untouchable by the U.S. government.